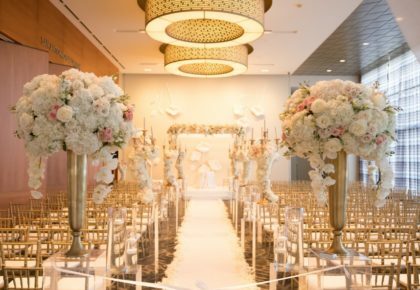 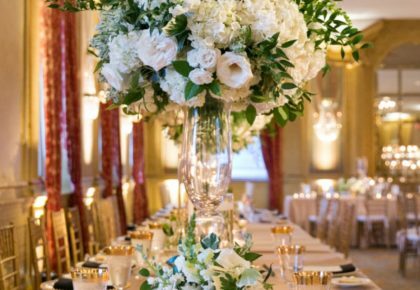 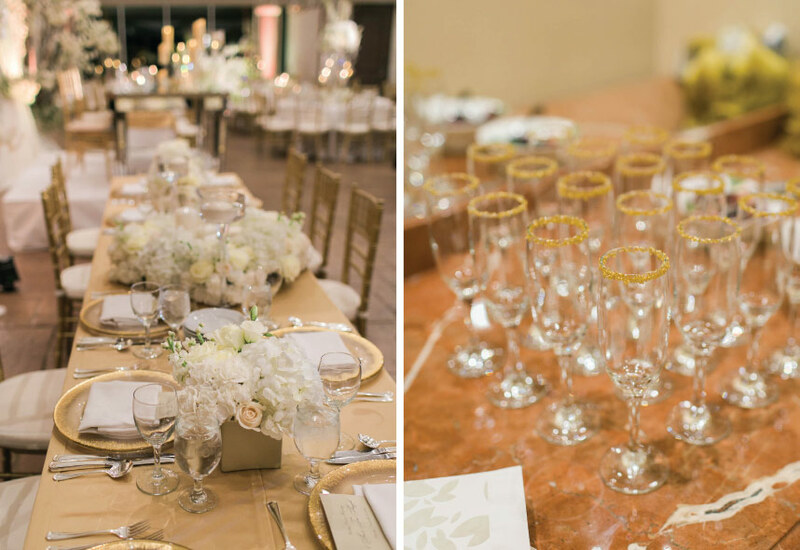 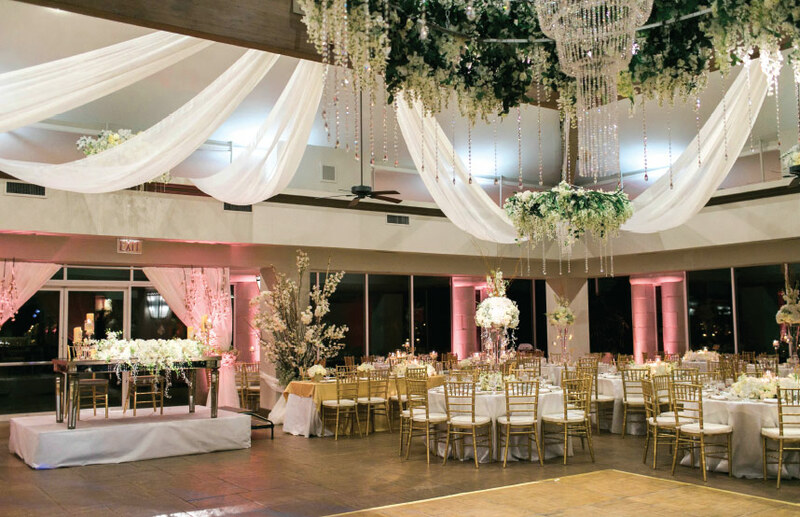 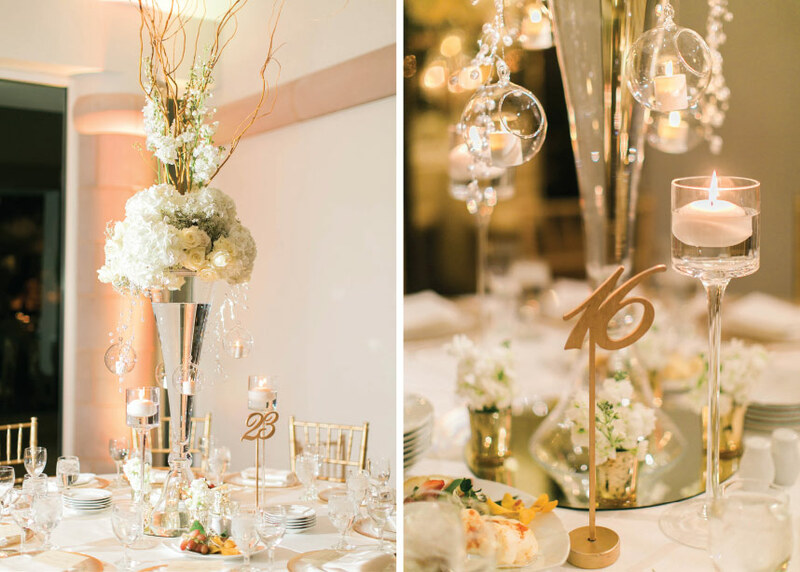 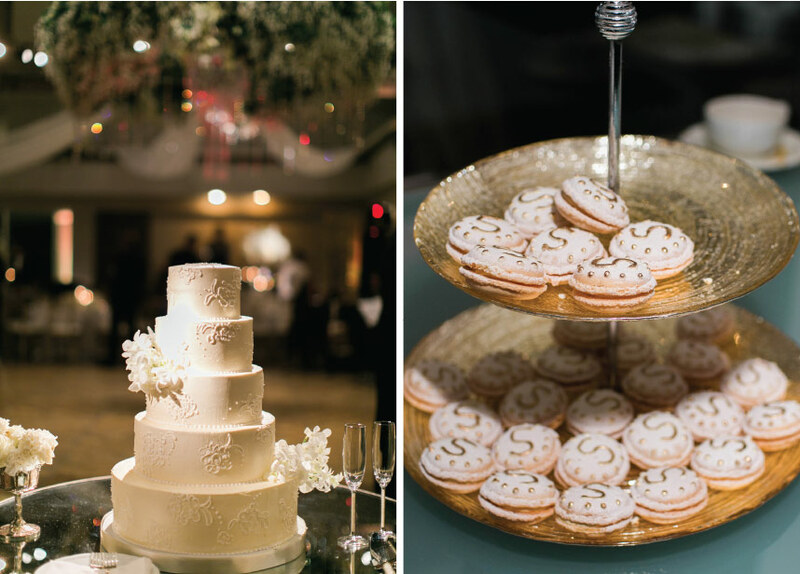 Our jaws hit the floor when we first saw this stunning wedding reception perfectly planned by MK Event Boutique at the Four Seasons Resort and Club Dallas at Las Colinas! 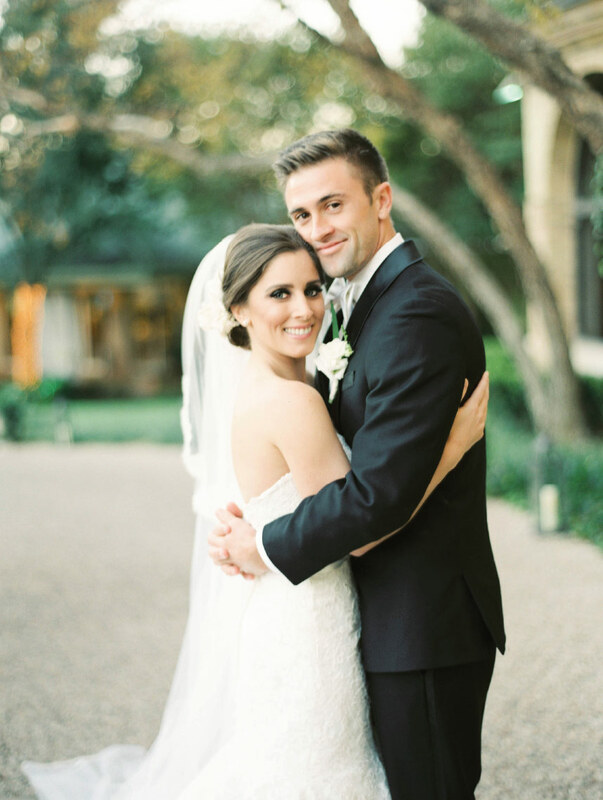 Ana and Tim, a professional tennis player, met at the Four Seasons while Tim was in town from Tamp for a big tournament. 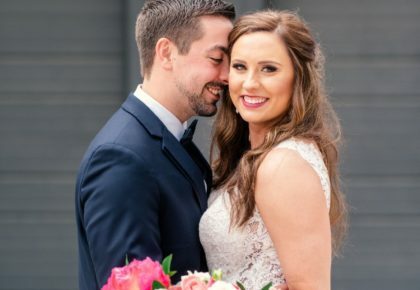 They couldn’t think of a more fitting place to celebrate their marriage! 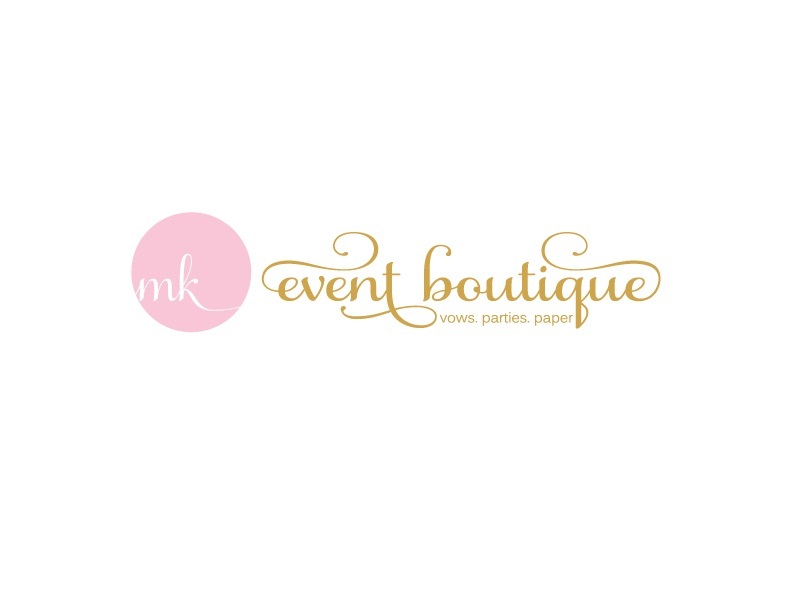 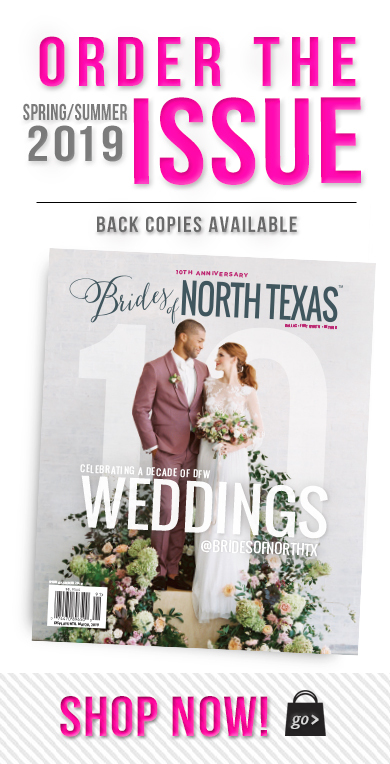 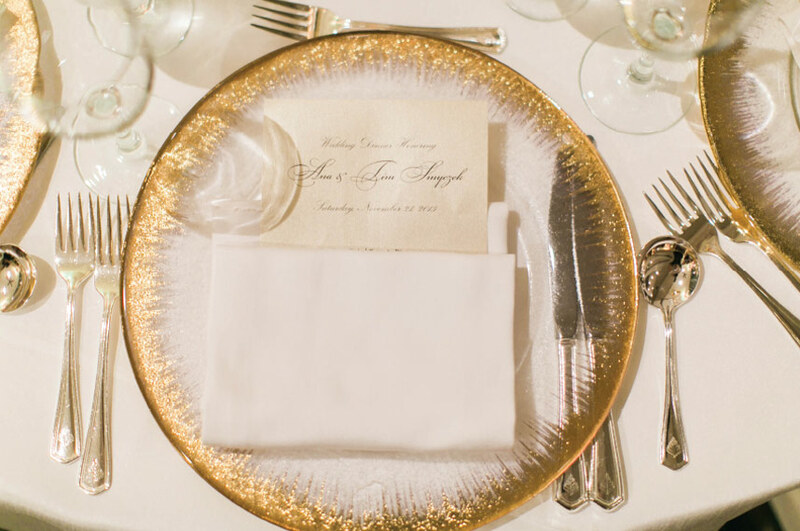 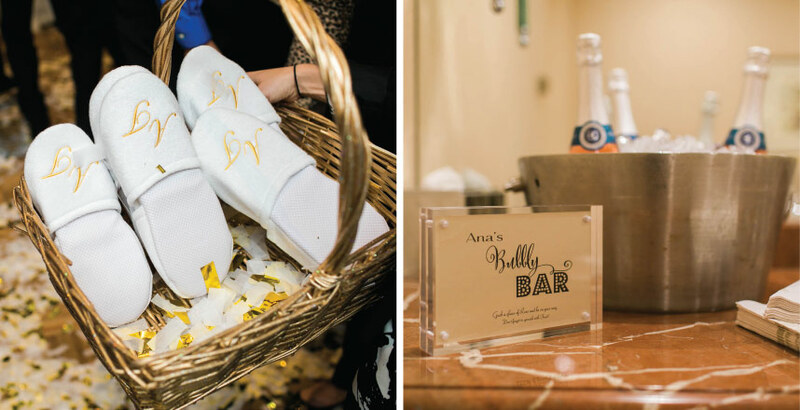 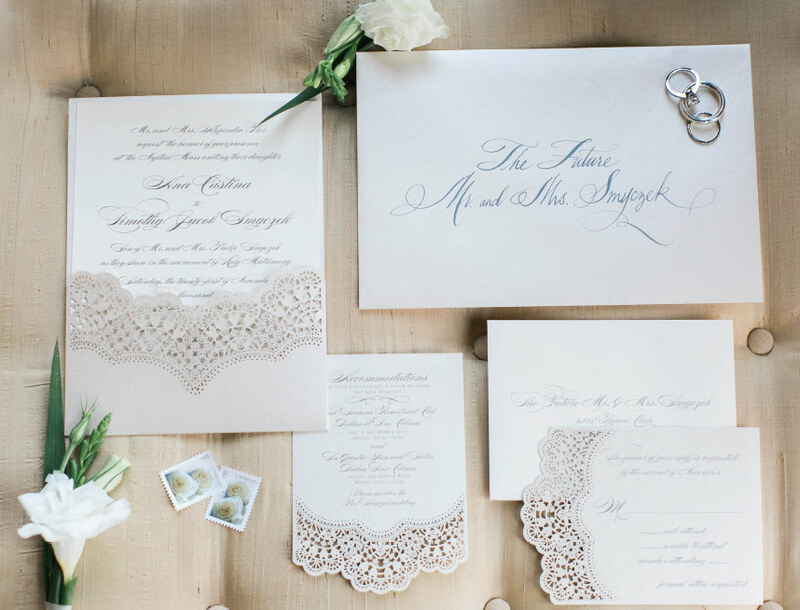 “Anna and Tim wanted to have a wedding that their guests would always remember, and they did just that with all of the “wow” factors that were created,” planner Hannah Heres of MK Event Boutique said. 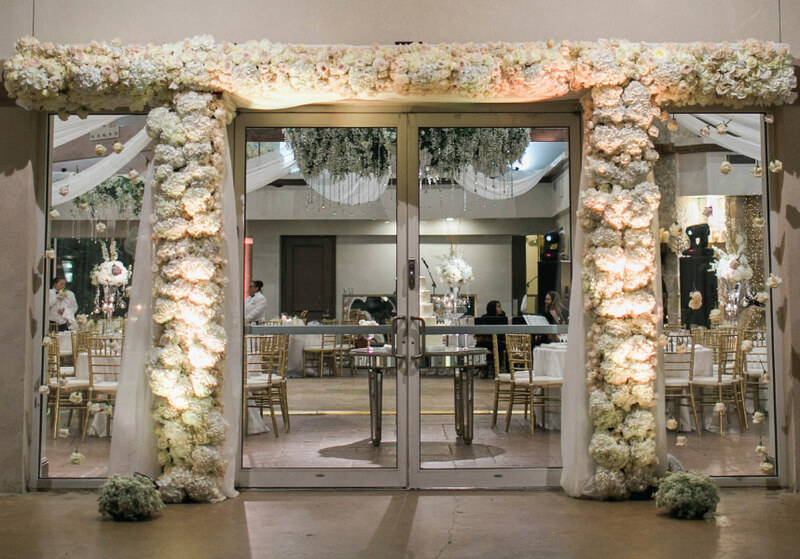 The guest entrance was covered in white lush floral with white roses suspended from the top of the windows to make it look like they were floating! 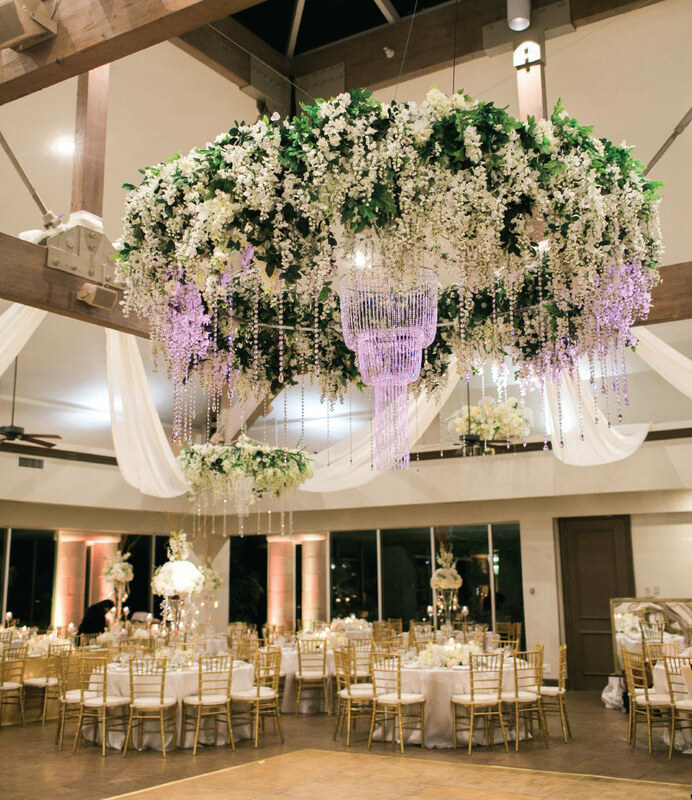 The floral halos were and dripping chandeliers hung over beautifully set tabletops with towering centerpieces. 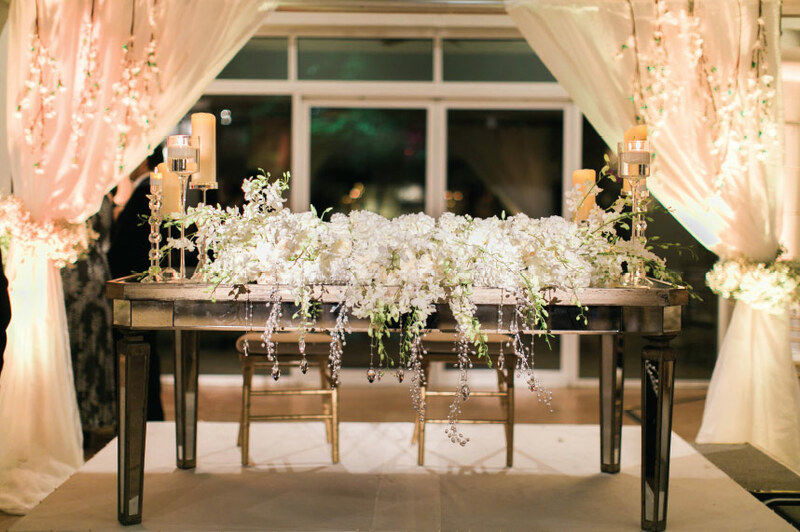 The romantic candlelight set the mood for an elegant evening. 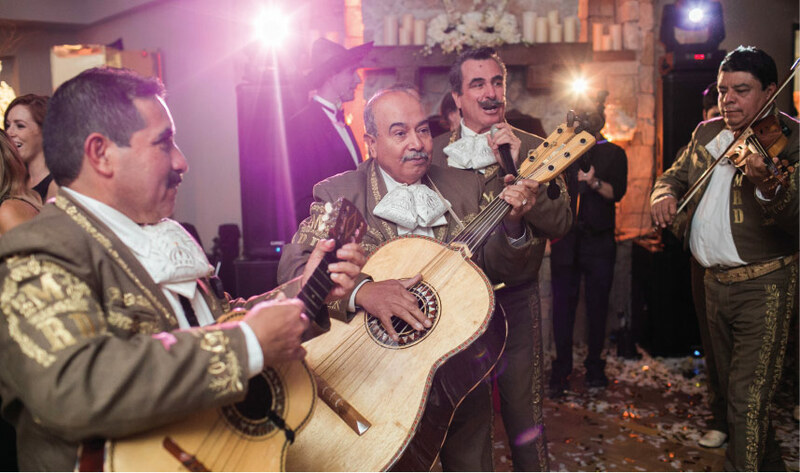 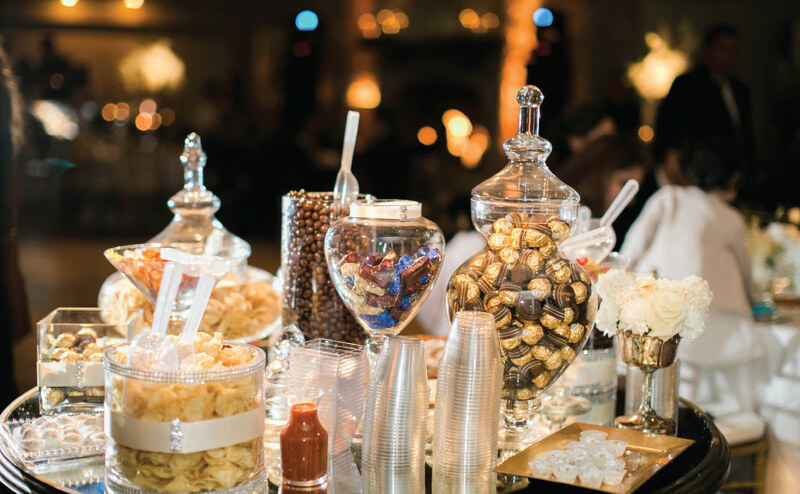 As a node to the bride’s Hispanic heritage, a mariachi band played and guests were treated to Hispanic desserts and tasty candy bar! 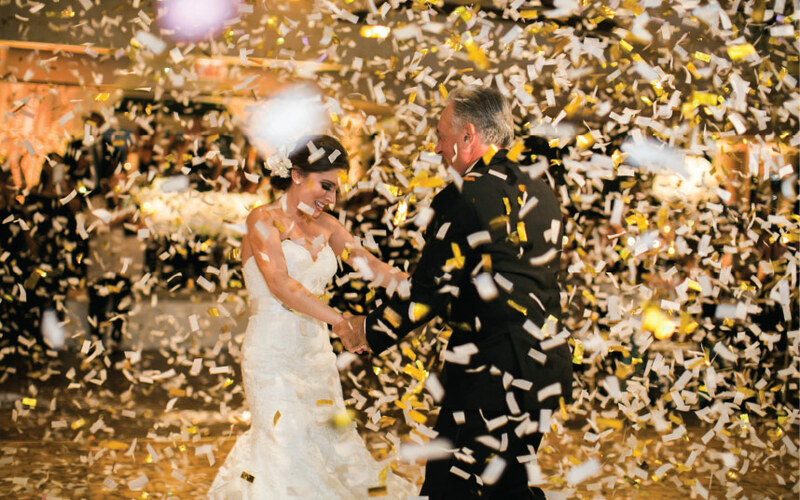 A confetti blast at the end of the father/daughter dance opened up the dance floor and kicked off an incredible evening of celebration!